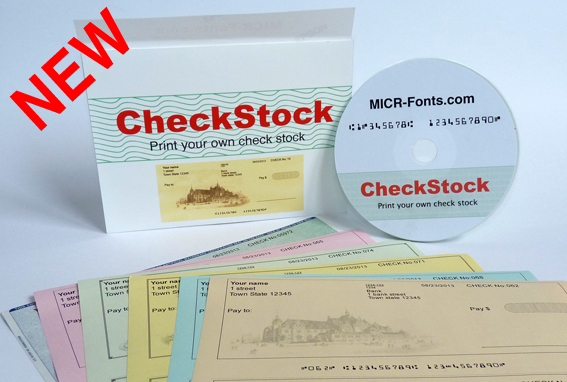 The MICR font E13B Match™ Suite and MICR Calibration Wizard™ are the most complete, precise and accomplished tools to produce reliable and anti-fraud checks directly from your PC and laser printer.Used in United States, Canada, and other countries, this package contains fifteen (15) versions of the MICR E13 B Match™ fonts, corresponding to the largest variety of printers and configurations, as well as typesetting and printing equipment. This high precision MICR font set is completed by fourteen (14) exclusive anti-fraud SecureAmounts™ secure number fonts. The setup program automatically installs the MICR Calibration Wizard™, the MICR E13B Match™ font set, and the fraud-resistant SecureAmounts™ fonts. The MICR Calibration Wizard is added to your Start menu, so you can start calibrating the fonts immediately. Free working samples Windows and Macintosh for download. MICR font set, MICR Calibration Wizard™, and SecureAmounts™ anti-fraud secure number fonts, V3.00. 15 MICR fonts suited to all current systems and laser printers. This set also includes TrueType and PostScript fonts for typesetting equipment. Anti-fraud, anti-forgery fonts which insure your checks amount cannot be gratted, washed, or modified in any way. Several styles to choose from. Quickbooks® users, print customized check stock from your desk. Plain letter size paper or printed sheets from office supplies. Disclaimer : MICR E13B Match™, MICR Calibration Wizard™, SecureAmounts™ fonts, are trademarks of Micr-Fonts.com and its owners.